It seems like only yesterday that we learnt that North America would be getting a Transformers themed Splatfest in the ever-popular Splatoon. The Splatoon hype train waits for no man however and it's been revealed today that a Splatoon eSports tournament series will be launched in Japan with over $1 million in prize money. The tournament series is being hosted by the Japanese KADOKAWA DWANGO Corporation and will feature Puzzle and Dragons as well as Splatoon in tournament schedule. Eight cities will hold 40 events, in Fukuoka, Sapporo, Nagoya, Osaka, Miyagi, Hiroshima, Kagawa, and Tokyo. It all culminates in the grand finals to be held on 30th-31st January 2016. We've yet to hear about officially sanctioned tournaments such as this for North America and Europe, but you can bet they won't be too far away. Would you love to take part in such a tournament if it came closer to where you live? As always be sure to share your thoughts with us in the comments. I'd consider entering tournaments if they came to the UK. I really hope it will be ranked rather than turf wars. Turf Wars are too much fun and casual to be competitive. Ranked modes are much more competitive and teamwork based. But all in all, it's good to see a high level competitive game much like Smash Bros. from Nintendo. Awesome! I'd watch some of this if they stream it online. Wow, that's so cool! I'd be down for watching some of that! Of course, I'd be even more down for it to come to the UK, but that's never gonna happen. A great way to keep the game in the public eye. Something like Rainmaker actually feels like a sports match. Something like that would REALLY boost sales of the Wii U in America! This is a good thing they should bring to NA and UK. I wouldn't do it, but gamers who want to try and make a living playing video games would be willing to buy a WiiU just to get good at this for competition. Let's hope Nintendo follows through. 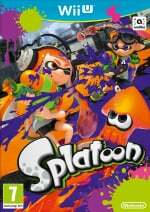 Imagine folks, if Splatoon would have been a launch title. The whole landscape of the WiiU's life would be completely different. I'm good in the context of general online play with Splatoon but I doubt I could hang with the elite. Still nice to see Splatoon getting constant hype and marketing for 4 straight months. Imagine if the Wii U was given this kind of exposure. @sinalefa Rainmaker is far and away my favorite mode, but some of those matches are just over so fast I feel like tower control is the way to go. Though on the downside 2 good teams in tower control may lead to less ko's. No matter what they choose - I don't see how you can have 4 v 4 team based battles w/o voice chat. I'd like to watch the best of the best try to take each other down, but doing it in silence would be stupid. Even if voice chat is limited to private squads it still really needs to be in the game for me to take it seriously enough to watch. Maybe 3.0. @XCWarrior If Splatoon and SMM had been there at launch 'Wii U - it prints money' GIF's would be an actual thing. Really? So "Stop Having Fun Guys" has come to this? If it ain't fun, it's eSports worthy? Excellent move Nintendo! And i would love to see this concept rolled out in other countries as well. 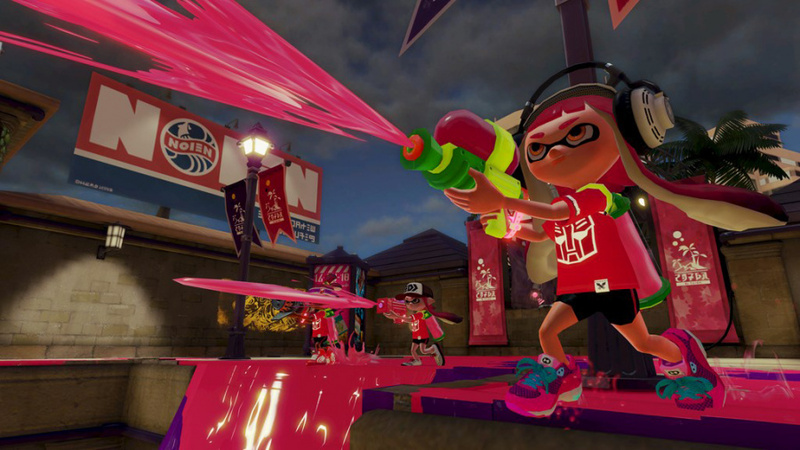 Nintendo is going after the "pro-gamers" with Splatoon and Puzzle & Dragons. That's so cool... I'm so glad this game has been such a success. That's amazing! To think people were originally getting mad when people were discussing playing Splatoon competitive. Their loss. @sinalefa yeah, I was thinking it be cool if we could pass the rainmaker around like a pig skin (no forward passing) to really add a sport element to it. Oh boy, we're going full-on competitive now! Kadokawa may mean nothing but trouble, but hey, this might be the start of something incredibly beautiful! @DarthNocturnal Not at all! I just feel Ranked Battles are more eSports worthy than Turf Wars due to their more competitive nature. If it is Turf War, I'm completely fine, and I'm ecstatic to see Splatoon in the eSports scene. Please don't mistake this for 'Stop having fun'. In the first sentence learnt should be learned. Yesterday I was playing and the guy on my team holding it was just doing nothing with the goal in front of him and I just felt like taking the RM from his hands and "scoring the touchdown" myself. It would be interesting to pass it small distances. I think Splatzones would be the best mode for this. Anything but turf wars, as turf wars isn't as intense. Everything is the same until the timer runs down, and is sometimes circumstantial. In ranked battle modes, winning is always a clear achievement and a monument to teamwork. @Nicolai Exactly! Splat zones is also my favourite ranked mode as it incorporates the main idea of Turf Wars the best! But if they are only Turf Wars, then I don't mind. Funny how Nintendo is treating Splatoon like a competitive game and treats Smash Bros. like a party game. That has what appears to be tweets in japanese, make of that what you will. @acegibbo I completely agree! Ranked battles are way more serious and competitive, because of the nature of the ranked modes and maybe also because of the ranks themselves. Splat Zones is also my favourite, with Tower Control coming right after after that on second. @Nicolai Couldn't have put it better! Additionally to extended teamwork efforts, the three ranked modes (especially TC and RM) also more often allows for one player to be the hero at the end and save the win for his team. It's a great feeling! Splatoon occasionally reminds me of football and other sports. I love that about it. @BlueNitrous I'm not necessarily inclined to disagree, but what exactly makes you say that? I mean they sometimes invite pro Smash players to their events on Gamescom etc. It's interesting to see how a game sold on a 10-mil-userbase platform could come to this... aaand I won't say another word. @Blastcorp64 Eww gross no stop it pls. Rainmaker is fine the way it is. We don't need it murica-ified just to make it seem like a sport which would kinda defeat the purpose of it being an esport. @Zombo I think you might have unwittingly linked the wrong post? Because Kosaki here talks about how unbalanced turf war is for competitive play, which I entirely agree with. The first two minutes are little more than a formality, because ALL games of turf war are decided in the last 30 seconds and last minute (to a lesser extent). If the other team gets a triple kill or something during the last 30 seconds it can easily cost you the game. So please, no competitive turf war. This is the reason why we have splat zones and the other ranked modes. As for competitive Splatoon as a whole I'm not to optimistic. While it's great that Nintendo is directly sponsoring this they won't give us voice chat among friends, a spectator mode, or LAN support. All these will be difficult to navigate around if Splatoon is going to grow a large competitive scene. @Zombo ...uh, I meant rugby...is that better. If not, how about Australian rules football. It would be kinda funny to punt the rainmaker, but out of frustration like when your team mates feel it is better to scout behind rather than try and seal off the enemy spawn point ahead of you. @sinalefa Yeah, like little pitches and handoffs.